If there’s one upside about the economic downturn, it’s that I don’t feel guilty about not having a job yet. I remember going to the International Coral Reef Symposium in Florida last July, in the final stages of my Masters, and meeting a guy who’d done the course a year before and had only just found a job. “I sure it hope it doesn’t take me a year to find a job”, I glibly thought. Well, one year, one month on, I’m no where nearer to gainful employment in the field I’m most passionate about. Sure, i’ve had jobs, delivering wheels of fat to hungry students in the name of Dominos, and teaching English to disinterested foreign teenagers who were more interested in the girls and swearing at innocent couples enjoying a day out than improving their contractions, but nothing yet that really gets me excited. Still, such work has supplied me with the financial thrust to continue to pursue environmental exploits, and it is on this quest that I find myself on a train bound for London, counting down the hours until I reach my final destination, a small village called Watamu, on the Kenyan coast around noon on Wednesday. I’m going to be working (and by work, I mean working, but not getting paid for it), for an organisation called A Rocha. A Rocha describe themselves as a Christian nature conservation organisation, with an emphasis on the community, good science and environmental education. So kinda right up my street then. It’s been a long journey to this point – for a good couple of years, when I’ve told people what I’ve done and am interested in (marine biology degrees and 3 years in student ministry), several have asked if I’ve heard of A Rocha and seriously encouraged me to check them out. I dutifully did and then was vaguely put off by their emphasis on birds and didn’t pursue it much further. Then, earlier this year I became good friends with a man named Danny who is wiser than me, and he strongly encouraged me to look into it a bit further. 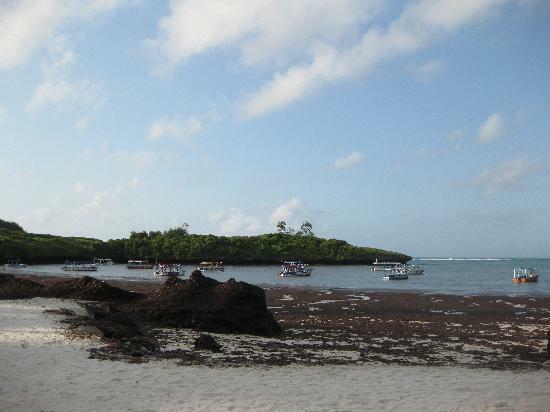 Sure enough, I discovered that the Kenyan branch was based on the coast, and although they still looked at lots of birds, they were seabirds and therefore perfectly legitimate in my remit of wanting to work on and with the coastal environment. So earlier in the summer I finally applied to be a volunteer, at the same time as several other ‘real’ jobs. As the rejections floated in, citing the usual 60-100 applicants, an autumn in Kenya looked more and more likely, until I found myself booking flights. And here I am, on my way for the next 3 months. not really sure what to expect beyond a bit of sun and some mosquito bites. Which, I figure, is the best way to be starting out – stepping into the unknown with a dashing of faith and hope. Cool! I know someone who worked for A Rocha in Portugal, and in London – in fact I’ve even stayed in their London base before (and had to remember to recycle…like….everything). Hope all goes well, and if you can keep us posted!